16.2.2011 First Memorial Lecture- Christopher Alan Fuchs,Â Perimeter Institute for Theoretical Physics in Ontario. 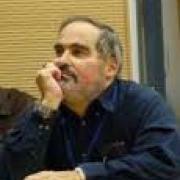 29.1.2012 David Albert, Columbia University- Physics and Chance. 13.3.2013 Jeffrey Bub, University of Maryland- Bananaworld, Quantum Mechanics for Primates. 26.2.2014 Alan Hajek, Australia National University- A Plea for the Improbable. 14.1.2015 Jos Uffink, University of minnesota- Boltzmann and Irreversibility. 2.3.2016 Hue Price, University of Cambridge- Time’s Arrow and Eddington’s Challenge.